Currently developed automotive systems exhibit an increased level of automation as well as an ever-tighter integration with other vehicles, traffic infrastructure and cloud services. Thus, just as safety became a critical part of the development in the late 20th century, the automotive domain must now consider cyber-security as an integral part of the development of modern vehicles. Novel features, such as advanced driver assistance systems or automated driving functions drive the need for built-in security solutions and cyber-security aware system design. Unfortunately, there is still a lack of experience with security concerns in the context of safety engineering in general and in the automotive safety departments in particular. A European partnership developed a skill set, training materials and best practices for ISO 26262 in the context of the EU project SafEUr. This working party (SoQrates working group) shares knowledge and experiences and integrated the Automotive SPICE assessment model with functional safety requirements, which was further used in integrated Automotive SPICE and safety assessments. The members of the SoQrates working group are, to a large extent, certified Automotive SPICE assessors dealing with security-related project in practice. 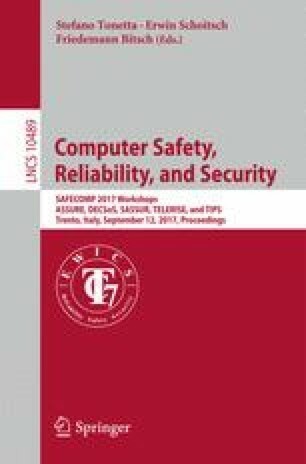 From 2016 onwards, the SoQrates working party started to analyse the SAE J3061 cyber-security guidebook and integrated the additional requirements of SAE J3061 into this assessment model. This paper will summarise the previous results and extensions of the assessment model and the working group’s vision, how an Automotive SPICE assessor can support also the auditing of projects with close security relation. This work is supported by the \(EMC^2\) project. The research leading to these results has received funding from the ARTEMIS Joint Undertaking under grant agreement nr 621429 (project \(EMC^2\)). Furthermore, we would like to express our thanks to our supporting partners, the experts of the SoQrates working group.